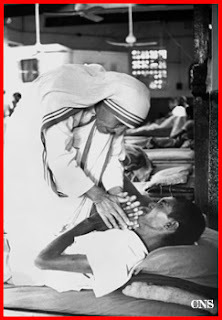 "Keep the joy of loving the poor and share this joy with all you meet. Remember works of love are works of Peace. God Bless you." 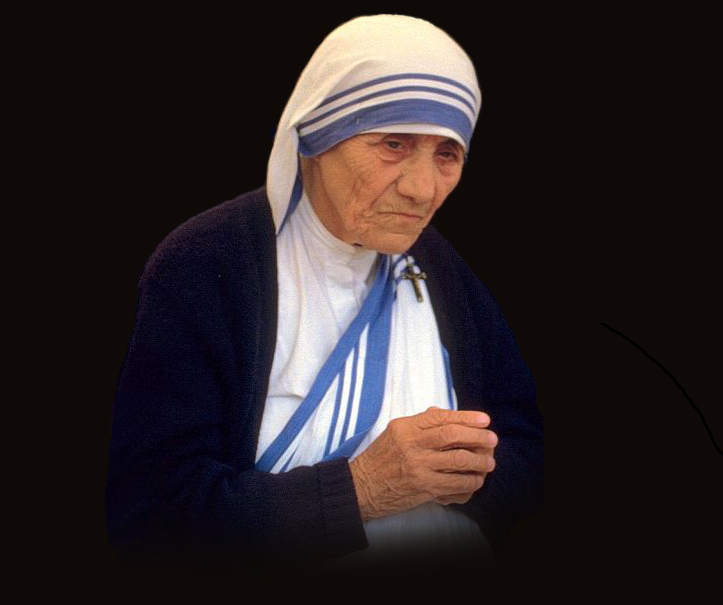 Mother Teresa was born Agnes Gonxha Bojaxhiu in Skopje, Macedonia, on August 26, 1910. Her family was of Albanian descent. 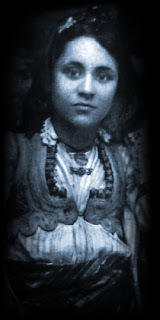 At the age of twelve, she felt strongly the call of God. She knew she had to be a missionary to spread the love of Christ. 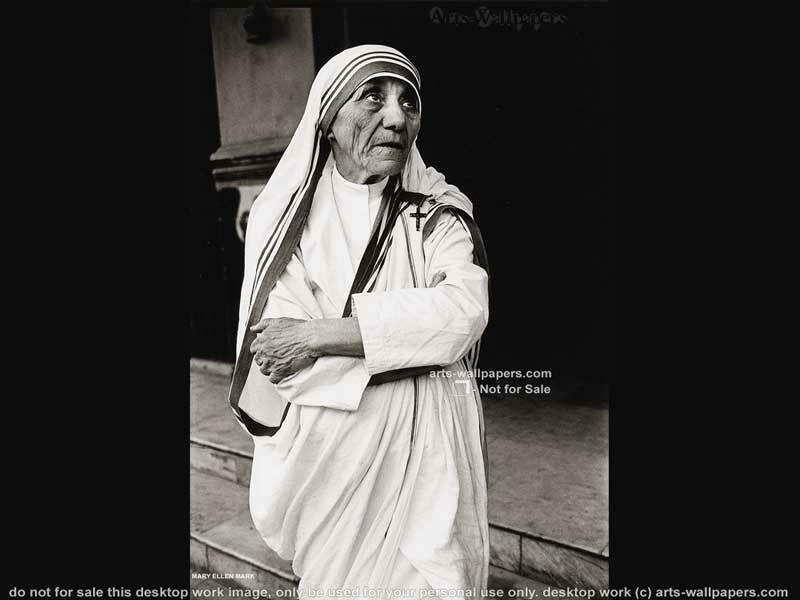 At the age of eighteen she left her parental home in Skopje and joined the Sisters of Loreto, an Irish community of nuns with missions in India. After a few months' training in Dublin she was sent to India, where on May 24, 1931, she took her initial vows as a nun. 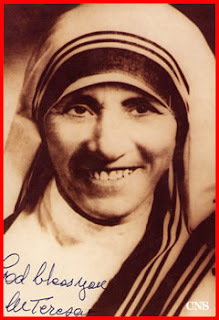 From 1931 to 1948 Mother Teresa taught at St. Mary's High School in Calcutta, but the suffering and poverty she glimpsed outside the convent walls made such a deep impression on her that in 1948 she received permission from her superiors to leave the convent school and devote herself to working among the poorest of the poor in the slums of Calcutta. Although she had no funds, she depended on Divine Providence, and started an open-air school for slum children. Soon she was joined by voluntary helpers, and financial support was also forthcoming. This made it possible for her to extend the scope of her work. 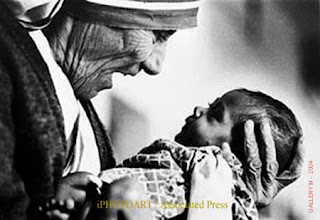 On October 7, 1950, Mother Teresa received permission from the Holy See to start her own order, "The Missionaries of Charity", whose primary task was to love and care for those persons nobody was prepared to look after. In 1965 the Society became an International Religious Family by a decree of Pope Paul VI. Today the order comprises Active and Contemplative branches of Sisters and Brothers in many countries. In 1963 both the Contemplative branch of the Sisters and the Active branch of the Brothers was founded. In 1979 the Contemplative branch of the Brothers was added, and in 1984 the Priest branch was established. The Society of Missionaries has spread all over the world, including the former Soviet Union and Eastern European countries. They provide effective help to the poorest of the poor in a number of countries in Asia, Africa, and Latin America, and they undertake relief work in the wake of natural catastrophes such as floods, epidemics, and famine, and for refugees. The order also has houses in North America, Europe and Australia, where they take care of the shut-ins, alcoholics, homeless, and AIDS sufferers. The Missionaries of Charity throughout the world are aided and assisted by Co-Workers who became an official International Association on March 29, 1969. By the 1990s there were over one million Co-Workers in more than 40 countries. Along with the Co-Workers, the lay Missionaries of Charity try to follow Mother Teresa's spirit and charism in their families. 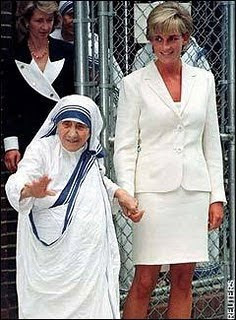 Mother Teresa's work has been recognised and acclaimed throughout the world and she has received a number of awards and distinctions, including the Pope John XXIII Peace Prize (1971) and the Nehru Prize for her promotion of international peace and understanding (1972). She also received the Balzan Prize (1979) and the Templeton and Magsaysay awards. She won the Nobel Peace Prize in 1979 and India's highest civilian honour, the Bharat Ratna, in 1980 for her humanitarian work. 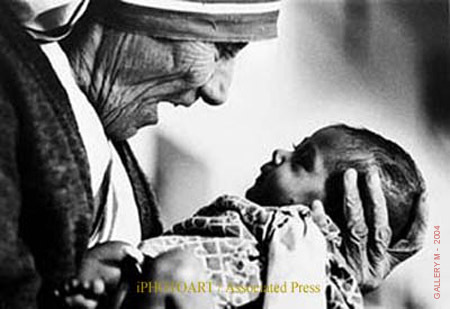 Once John Paul II was asked: "Where did Mother Teresa find the strength and perseverance to place herself completely at the service of others? 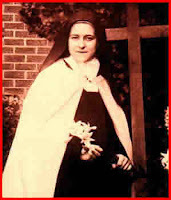 She found it in prayer and in the silent contemplation of Jesus Christ, his Holy Face, his Sacred Heart."